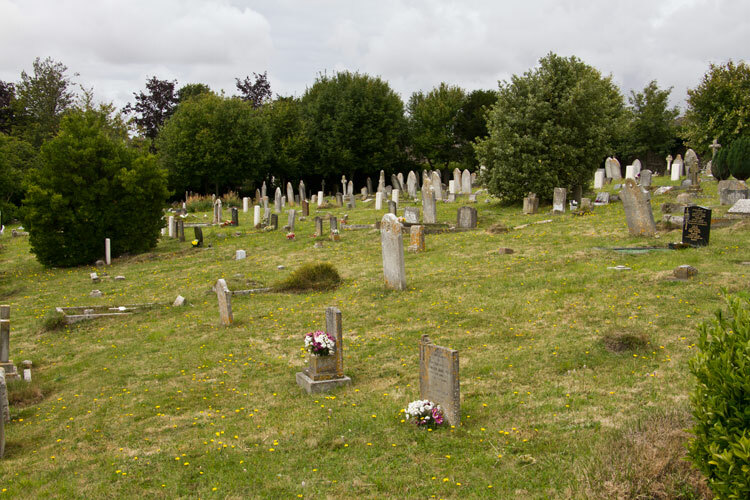 Dorchester (Fordington) Cemetery is located off King's Road in Dorchester, but can be accessed from the car park beside St. George's Church. This, in turn, is accessed by a narrow lane off the High Street in Dorchester. The cemetery contains 32 burials from the First World War and 2 from the Second World War. One of the burials is that of a soldier of the Yorkshire Regiment. At the time he died, the 7th Battalion were in camp in nearby Wareham. 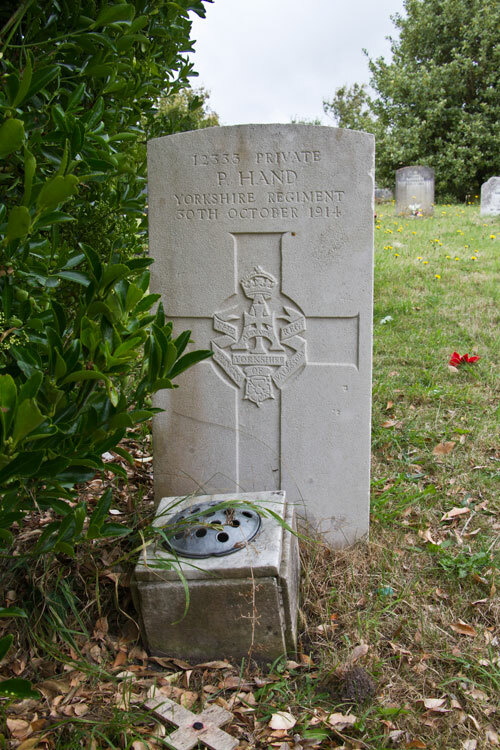 Another soldier of the 7th Battalion who died at about the same time is buried in the cemetery of Wareham Hospital. 7th Battalion the Yorkshire Regiment. Died at home 30 October 1914. Born Worcester, Enlisted Stokesley, Resided Derby. Dorchester (Fordington) Cemetery. Private Hand's grave is on the left, beside the bush.